With the end of October coming fast and Halloween just around the corner, this weeks challenge over at the Everybody Art Challenge Blog is Halloween. I have used a cute Magnolia stamp, which is the only image I own that could be used for a Halloween card. I started this card with a pale grey Bazill card, inked around the edge in black and stickled with Platinum glitter. The background paper is from the Basic Grey - Eerie paper pad. To this I added black faux stitching and a few crosses of silver thread (didn't have enough of this to do all the card). The spiders web in the corner is an onion bag. The spider web paper is by Echo Park Paper Co, purchased at the Warwickshire Bead & Craft show a few weekends ago. 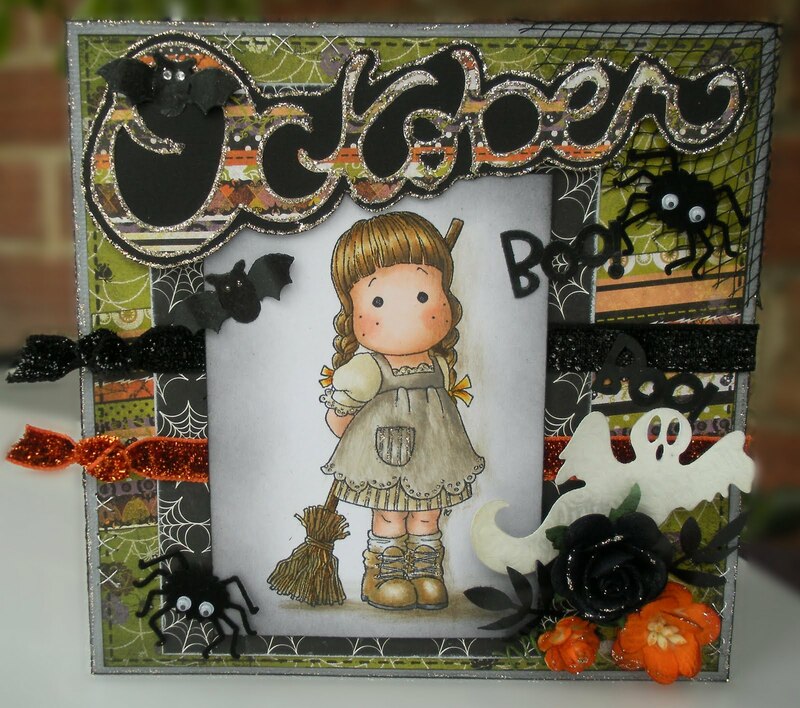 The October word is part of a Sizzix die mounted onto black card and the Bats, Ghost and Boo! is from a small Cuttlebug die. Oh I nearly forgot, the image is coloured using Pumice Stone and Antique Linen Distress Ink and glittered using more Platinum Stickles. The skin was coloured using E00 & E02. The shadows were made using Vintage Photo ink and a dry brush. 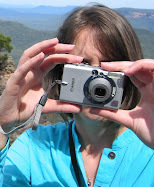 I hope you like the card and have a great week. Jenny this is gorgeous, wonderful sweet tilda and beautiful details. Hi!Jenny,Oh this is just gorgeous,love how you have coloured Tilda,papers and all the little bits are great-spiders,ghost,bats. Wow this is gorgeous, love all the details and Tilda is colored beautifully. Thanks for joining us at Fussy and Fancy.